This weekend i had a trip to Primark and found some ‘Home’ and ‘Relax’ signs. For £1 each i snapped them up. Not knowing for sure where they would be placed but i was sure it wouldn’t be too hard. 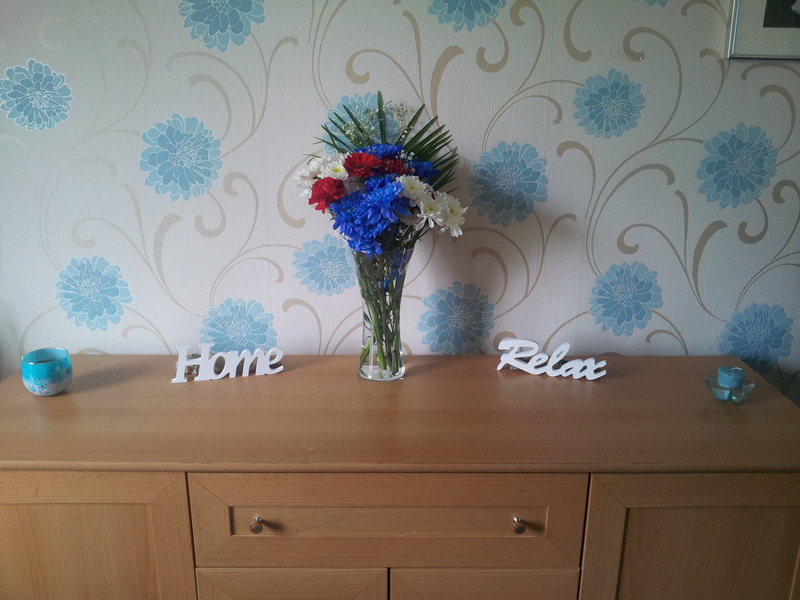 They are now sat on the sideboard in the living room. With a brand new bouquet of flowers from Tesco for £5. It looks so much better from just these little items being added. I have bought myself flowers every week but i have to say these are my favourite so far, lovely and bright but still can fit in with the teal colour of the living room. 20th March begins the start of Spring. I think Spring may be my favourite season. The flowers start to show and we get some colour in our lives outside. The weather should start warming a little, although it has been known to snow in Spring, i hope this year is different. It’s the start of grass cutting, i don’t mind cutting the grass and quite like the smell. The sun shines through the windows giving you a warm glow if in the light. The house looks nicer in the sun, brighter inside. The winter hats/gloves can hopefully be put away along with the snow boots, sledge and snow all in one outfits. You get an excuse to eat chocolate, being Easter. Trees start to have leaves back on their branches.